If you need to activate or switch devices on your account, watch this video. For more info on prepaid service activation, refer to Set up Verizon Prepaid Service. If powered off, press and hold the Power button until the Samsung Galaxy Tab A screen appears then release. 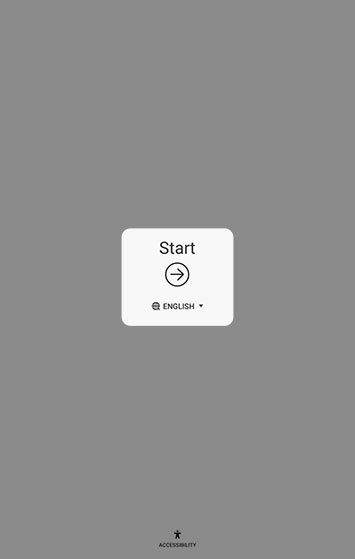 Select the appropriate language then tap the right arrow icon. To continue, review the 'Terms and Conditions' screen then tap AGREE. In order to continue, you must accept (check) all items. 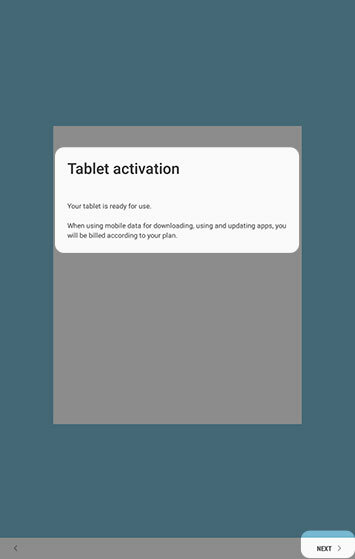 From the 'Tablet Activation' screen, tap NEXT. If prompted, enter the account PIN then follow the onscreen prompts (see Account PIN FAQs for additional info). 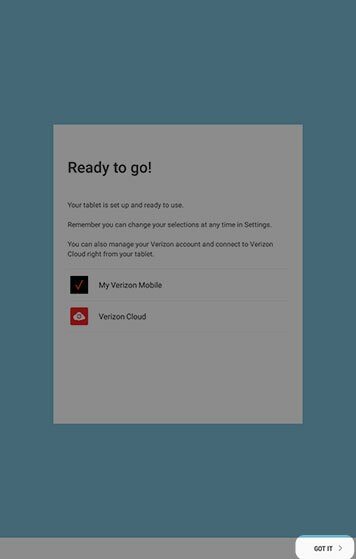 If activating a new tablet on an existing phone number, ensure the old device is powered off. From the 'Set up Wi-Fi' screen, select a network then enter the password. 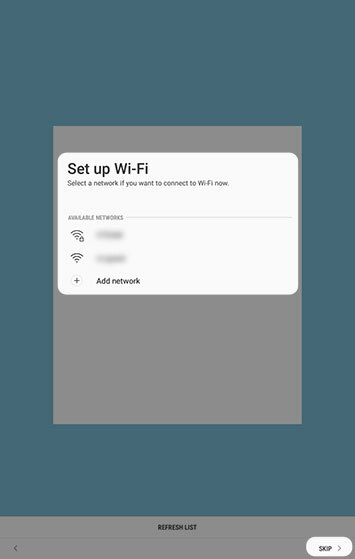 If you choose 'SKIP', you can add a Wi-Fi network after setup is complete. 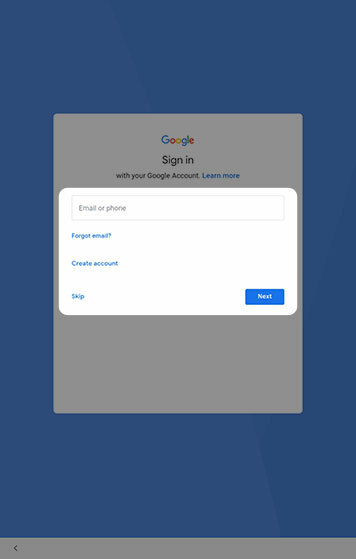 Sign in to your existing Google™ account or create a new one. If you choose 'Skip', you can add a Google account after setup is complete. 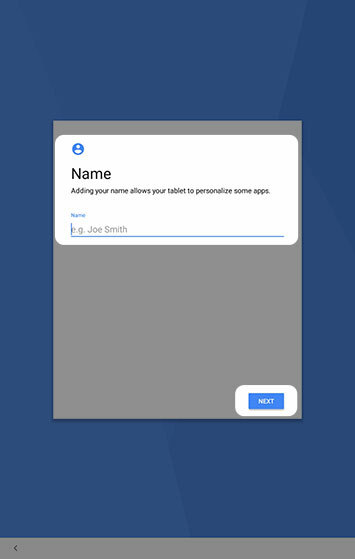 From the 'Name' screen, add a preferred name for your tablet then tap NEXT (lower-right). From the 'Protect your phone' screen, select the preferred option then tap NEXT. If you choose 'No, thank you', you can set up screen lock or face recognition after setup is complete. 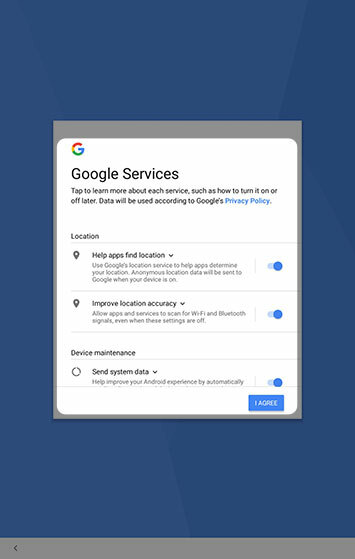 From the 'Google services' screen, select any of the following to turn on or off then tap I AGREE. 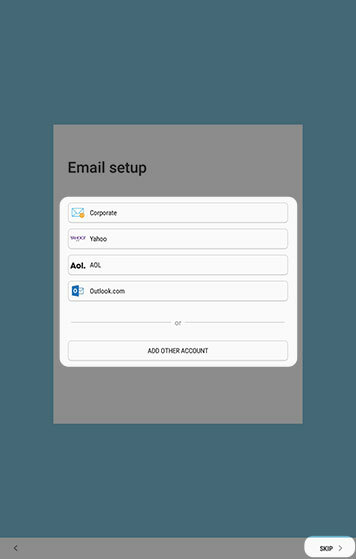 From the 'Email setup' screen, select an email account type then enter your sign-in info. If you choose 'SKIP', you can add a personal email account after setup is complete. From the 'Ready to go' screen, tap GOT IT (lower-right).